Did you know that 53% of North Texas third graders can’t read on grade level? It’s a critical statistic that can have life-long implications. Research shows that students who are not reading on grade level by third grade are four times more likely to drop out of high school. “It’s just horrifying that at third grade, we are practically relegating kids to low wage jobs for the rest of their lives,” says Christina Hanger, CEO of Dallas AfterSchool. Children learn to read until third grade. By fourth grade, they must read to learn. If students can’t read proficiently by the end of third grade, they are destined to fall behind. While it’s crucial that young students continue to build upon their ability to read in their early school years, many times during the summer they will lose some of those skills. In particular, low-income students are more likely to suffer from what is typically referred to as the “summer slide.” These students typically lose two months of reading skills during the summer months. That is why the Tackle Summer Slide program was created in Dallas. 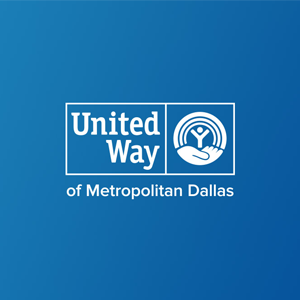 It was designed as a collaborative effort between several community partners, including Dallas Afterschool, the Commit! Partnership, Dallas ISD, Istation, City of Dallas Park & Recreation, and Tackle Tomorrow to reverse the trend of summer reading loss. During summer programs and camps, K-3 students receive one-on-one coaching from trained reading specialists and access to customized online curriculum. In three years, the program has expanded from 100 to 1500 students – and it’s proving to be extremely effective. In the summer of 2017, with 500 kids participating, 72% of them had no summer learning loss and 53% of them actually gained two months of literacy skills.